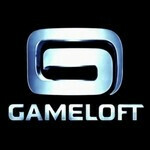 Gameloft is a name that mobile gamers should be well familiar with. After all, the company is behind a number of very successful Android and iOS titles, such as the Modern Combat and the Asphalt series. And the good news is that there is a whole lot more to come. After announcing its impressive 2011 profit figures, Gameloft shed some light on the titles, which we can expect seeing on our mobile devices this year. The company has been given licences for a number of major titles, namely The Dark Knight Rises, Ice Age, The Avengers, Men In Black 3, and The Amazing Spider-Man. Ladies and young gamers have something to look forward to as well as Gameloft is working on My Little Pony and Little Pet Shop too. Some, if not all of these titles are expected to be released on smartphones, feature phones, and tablets, including the Kindle Fire. While exact pricing details for these upcoming video games have not been disclosed, Gameloft stated that all of them will come with in-app purchases, including the ones released on feature phones. Furthermore, all of them will be "heavily social", although to what extent is not exactly clear at this time. Anyone excited about any of these upcoming Andoid and iPhone games? Sure, I'm excited to see Gameloft rip off of big name games. Aw hell, I actually do own Modern Combat 2 and 3. Funny how everyone thinks Gangstar Miami Vindication is a GTA ripoff. It's actually more into "Scarface: The world is yours" game. Anyway I don't mind their ripoffs. Given that most of these pc and console titles aren't available on smartphones, they only make sense. And some of them are up there with the best, for example 9mm is a stunning, 2GB large title. I'm with everyone else; so what if they're "rip-offs?" I can't play the actual GTA:VC, Halo, or MW on my phone or mobile device. Why not have the next best thing? Gameloft isn't denying that they're taking basically every element from every popular modern game and porting it to mobile users. In fact, it's blatant. I don't care. They're providing me with an experience I would normally be without. Plus, who else has done it better? Yeah, where is N.O.V.A 3? I just found out last night that Modern Combat 3 now works on the RAZR, all my previous attempts to install ended up with a "not compatible, request refund" message, but it installed and it runs BEAUTIFULLY!